1. 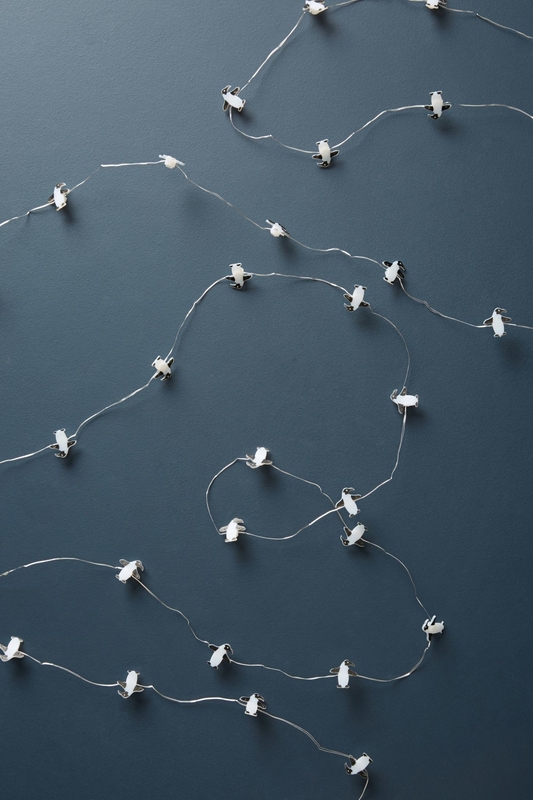 A set of string lights, because we can't all see the arctic lights like our little friends. 2. 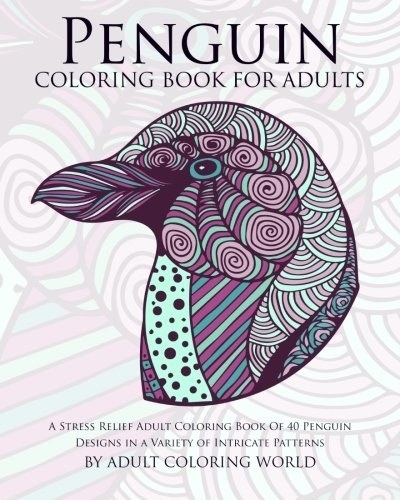 An adult penguin coloring book for people whose creativity isn't just *black and white*. Get it from Amazon for $8.99 or Walmart for $13.01. 3. A pair of tights that'll keep you toasty when you don't have anyone to form a huddle with. Get them from ModCloth for $25. One size. 4. A pack of paperclips to make sure your work goes ~swimmingly~. Get a 30-pack from Amazon for $6.03. 5. A face mask so your skin is at its beak. It'll freshen and clear skin with lily flower extract, grapefruit extract, and paper mulberry. Get it from Asos for $4. 6. A velour bathrobe for an extra cuddly option when the temperatures are going south. Get it from Amazon or Walmart for $24.99. Sizes: XS–XXL. 7. A penguin popper that'll shoot out balls faster than it can catch fish. Load the soft foam balls into the penguin’s mouth and squeeze its center to release the ball while making a distinctive pop sound. The harder you squeeze the further it goes. It comes with six balls and a carrying net. Get it from Paper Source for $12.95 or Amazon or Walmart for $10.86. 8. A plush sweater to nuzzle while battling bitter winds. 9. A tea steeper so your drink is ready before it gets arctic. Set this timer based on the type of tea. 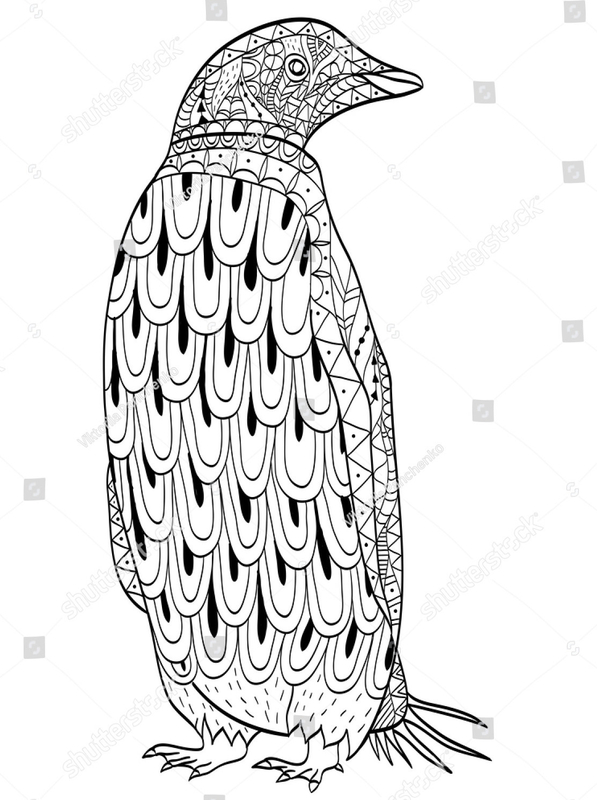 His beak automatically lifts your tea bag out of the cup when the time's up! ~Plus~ he doubles as a kitchen timer. Get it from Amazon or Jet for $29.75. 10. An inspiring print for those of us who believeeeee we can fly. We believeeeee we can touch the skyyy. Get it from Trinity Bennett on Society6 for $25.87+. Available in five sizes. 11. A fun board game that'll teach you more about your favorite critters along the way, in case you weren't already an expert. Get it from Amazon or Jet for $23.67. 12. A lovable plush toy, because the nights are lonely without a mate. 13. A giant two-foot-tall penguin who'll make it feel like you have the real deal. He loves you, I promise. Get it from Nordstrom for $24.95 or Amazon for $19.57. 14. 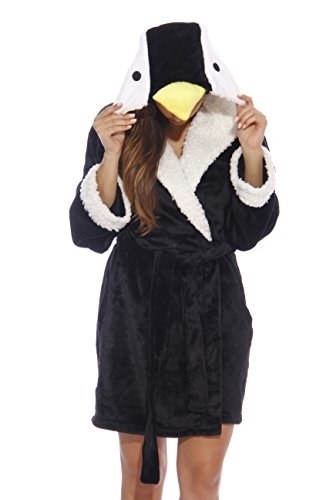 A penguin-print one piece to have the perfect accessory for a polar plunge. 15. A cookie cutter so you can finally break the ice between you and your oven. 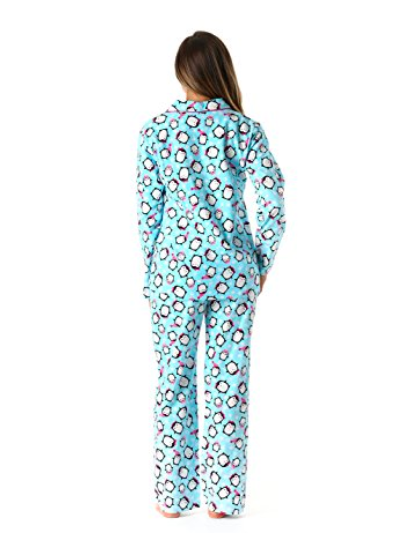 Get it from Amazon for $5.99 or a similar style on Walmart for $6.69. 16. An honest book, because penguins aren't really different than you and me, after all. We all hate clowns. Get it from Amazon for $9.94, Barnes and Noble for $9.95, or at your local bookseller through IndieBound here. 17. A pair of convertible mitten-gloves that'll make sure you're not a ~flight risk~ every time you need to leave the house. Get them from Forever 21 for $6.90. 18. A quirky top for an adorable look without spending a waddle of cash. 19. A set of penguin socks to keep your flippers as cozy as can be, even on extra-chilly mornings. Get a five-pack from Amazon for $11.99. 20. A pair of lacey boybriefs with cute chicks who get a little cheeky. Get it from American Eagle for $9.50. Sizes: XS–XXL. 21. 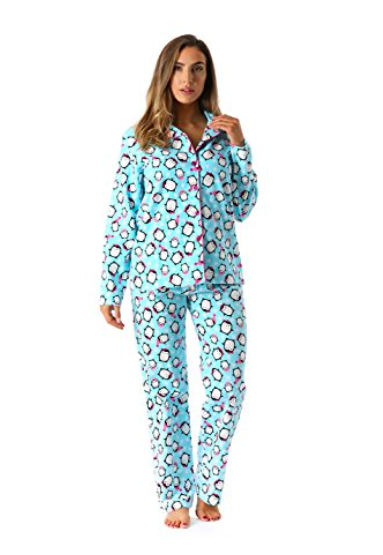 A pair of flannel pajamas that'll be just the tip of the iceberg to convince you to stay in forever. 22. 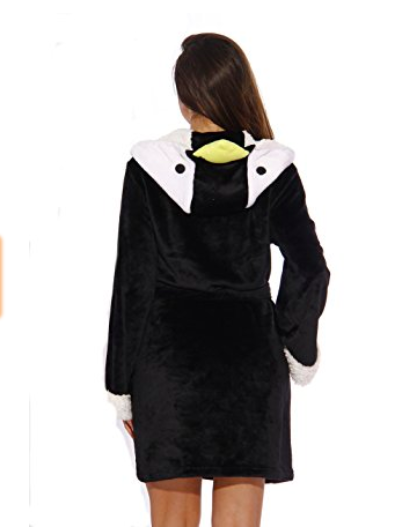 A plush onesie so you can comfortably watch Happy Feet twenty times in a row. 23. An infinity scarf, because everyone knows the best way to stay warm is by necking. Get it from Amazon for $15.99. Available in six colors. 24. An LED lamp to light up your life with its soft glow. Get it from Asos for $56. 25. An 18-ounce cocktail shaker for people who only like their drinks on ice. Get it from Amazon or Jet for $29.91. 26. An extra-quiet humidifier so you can stay well-rested and comfortable in your igloo. Get it from Nordstrom for $49.99, Amazon for $64.99, or Jet for $48.25 (originally $49.99). 27. A snow-berry flavored lipgloss to make sure that your beak is never chapped despite the icy winds. 28. A sticker, because once you find your penguin you'll be there for them when it isn't their day, their week, their month, or even their year. Get it from Buttered Doodles on RedBubble for $2.75. 29. An insulated lunch bag that'll peck away any sticky fingers. 30. A wireless speaker named Pat who wants to chirp along with you to all your favorite songs. Comes with a built-in microphone and it can remotely take photos. 31. A slow-rising stress ball so you have a way to calm yourself in situations as tense as waiting for the first penguin to jump in the water and see if they're eaten by a seal. Get it from Walmart for $5.80 (originally $8). 32. A dog sweater, because to see a cuter combination would be bad for your heart. Get it from Cost Plus World Market for $9.99. Order by 12/18 for free standard shipping. 33. A 2018 calendar that'll make every month ~flies by~ when you start each with a new floofer. The World Wildlife Fund receives 50 cents for each calendar purchased! Promising review: "Another excellent calendar from WWF! I originally bought one, but a friend's daughter saw mine and wanted one for herself, so I gave her mine and bought another for myself. Can't wait until next year for the 2019 calendar. Would recommend to anyone!" —Edward T.
Or you can adopt a penguin from WWF to help our threatened friends! Unclear if you can visit them.